Urban homesteading is a grand adventure. I’ve fended off dogs and small children in the Mill Road Cemetery; climbed trees in Grantchester (Felix, just try and stop me! ); and snagged free vegetables in a variety of other places, as well. I’ve written about my plum pie and my elderberry syrup, but I want to document my other successes as well. The most exciting vegetable I stumbled upon this autumn (so far!) was a pair of zucchini/courgettes that a coworker brought in to the office. I found a recipe on Becky Bakes. As is an unfortunate trend with cooking blogs, her writing is super annoying but her recipes are super delicious (the outlier is Smitten Kitchen. I’m not a regular reader, but when I do read her posts, they are almost always typo-free and minimally obnoxious, which is more than I can say about this blog). Anyway. Literary style aside, the zucchini snacking cake was the most delicious thing I’ve made since salted nutella tarts. 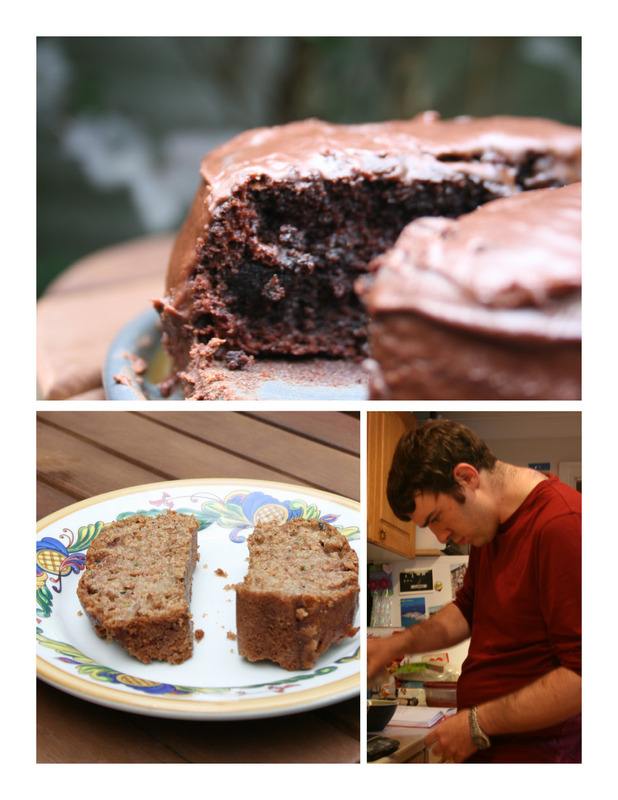 The regular zucchini bread was equally delicious (and quickbreads are impossible to screw up. Banana, pumpkin, zucchini, applesauce…easy peasy). I don’t remember what recipe I chose or I’d share it with you – but I can share some tips for making your zucchini bread healthy (honestly!healthy!….ish). Go scant on the sugar (this is something I’m going to push the boundaries of. I also want to experiment with coconut sugar and/or honey, which have lower glycemic indexes and are therefore better for you and less likely to give you diabetes). You can swap out all of the oil for applesauce or even chunks of apple microwaved into submission. Finally, go a little heavy on the zucchini – you can get 2 loaded cups in there and it just tastes more moist and not like you’ve added healthy stuff.